I last checked in on the 2018 Oscar race just before the nominations were announced. You can hear some of my thoughts about the surprises and snubs on the latest episode of the It’s the Pictures podcast, but my “too long, didn’t listen” take is this: Phantom Thread, Get Out, Lady Bird good. Darkest Hour and Three Billboards … less so. Some, however, are still wide open, and a few feel like an upset might be percolating. These are six of the Oscar races I’m most intrigued about at this stage of the season. What seemed like a sure thing for Laurie Metcalf has apparently become a walk for Allison Janney who has 1/1 odds for taking the award home. But if she does win a Best Supporting Actress Oscar, it will be in spite of the Academy’s apparent lack of interest in I, Tonya. Sure, Craig Gillespie’s film earned three nominations, but it missed Best Picture and a screenplay recognition, among other categories, and in Metcalf’s favor is a bundle of nods for her film, Lady Bird. This one falls squarely into the “upset might be percolating” camp. I wouldn’t say Supporting Actress is wide open. Mary J. Blige, Octavia Spencer, and Lesley Manville should be happy to be there, and I still think smart money is on Janney, but Metcalf can’t be ruled out yet. If Oscar Sunday is going to be a big day for Lady Bird, we’ll get a clue here. Like that for Supporting Actress, the 2018 race for the Best Actor Oscar appears like it could be over. Gary Oldman — one of the most overdue performers in the world — has this one sewn up the minute he signed on to play Winston Churchill in Joe Wright’s Darkest Hour. It’s a classic, old-fashioned Oscar performance with lots of fans and admirers, but Oldman has some heavy baggage, and of all years, this is one in which Hollywood is going to be careful. On the other side of the coin, Daniel Day-Lewis is stepping away from acting forever. One of the craft’s most admired individuals certainly isn’t overdue for Oscar recognition, but that doesn’t mean voters will shy away from choosing him if they think he’ll be a better representative for all of them. 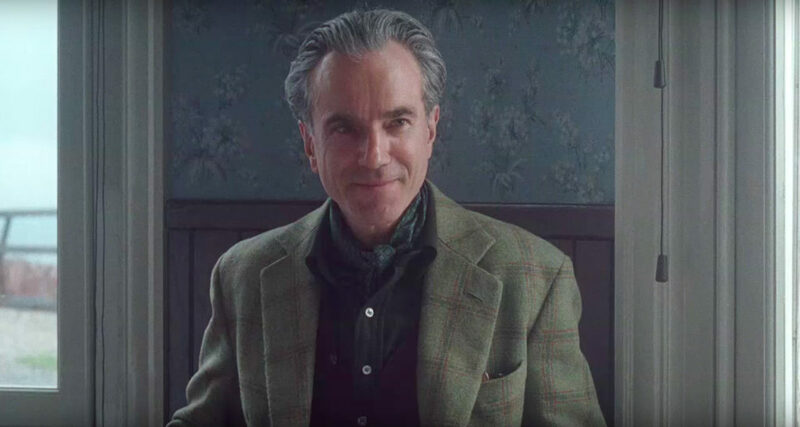 And it helps that Phantom Thread appears to be a strong Oscar player this year — something few expected pre-nominations. 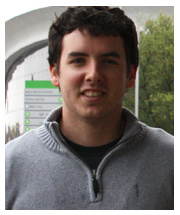 Again, I’m not predicting Day-Lewis, but I think he’s in play. Now, this one is wide open. With all due respect to Kumail Nanjiani, Emily V. Gordon, and The Big Sick — one of my favorite films of 2017 — the nomination was their prize. For The Shape of Water, Get Out, Lady Bird, and Three Billboards, they want gold, and rightfully so. 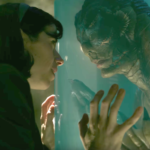 The Shape of Water is a complex, wholly original fairy tale. Get Out is one of the most creative horror films ever made. Lady Bird captures teenage angst better than any film I can remember. And Three Billboards, for all its problems, has fervent admirers that connect with its messy characters and complicated treatment of violent tragedy. I think the Academy ultimately comes down on Three Billboards as the winner here. It’s the writer’s and actor’s film, while The Shape of Water is the craft and directorial achievement. But any of the four could take it. When it comes to this year’s craft categories, perhaps the most anticipated for film fans is 2018’s Best Cinematography. That’s because it’s beloved cinematographer Roger Deakins’ 14th crack at his first gold statue, and his work in Blade Runner 2049 easily represents his best chance in at least a decade. Standing in his way is Dan Laustsen, cinematographer for The Shape of Water. He’s not overdue in the same way that Deakins is, but his work is also exceptional, and his film is obviously much more loved than the Blade Runner sequel is within the Academy. A Rachel Morrison upset — which would make the first woman ever nominated for Best Cinematography its first ever winner, too — would be truly golden, but this appears to be a two-horse race. I’m genuinely torn as to which one wins, but either way, it won’t be by more than a nose. This is always one of the most interesting categories on Oscar night itself because so often it’s a predictor of what will win Best Picture. 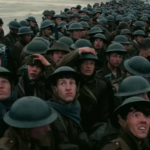 That means, in theory, The Shape of Water is the frontrunner, but things would get mighty interesting if Dunkirk, arguably the more interestingly and ambitiously edited film, takes home the prize. And if it goes to Baby Driver — another impressive editing feat — that could signal good things for Lady Bird or Get Out in Best Picture, though either would be the first Best Picture winner without a Best Film Editing nomination since Birdman (and the one before that was Ordinary People way back in 1981). Yep, I think this one is still unresolved. Conventional wisdom screams that The Shape of Water is the likeliest winner, but how many times has conventional wisdom failed us with Best Picture in the past few years. Best Picture and Best Director splits are the new norm, and if Guillermo del Toro is the prohibitive Best Director favorite, will the Academy opt for Lady Bird or Get Out as a more progressive, interesting Best Picture choice? Despite its lack of a Best Director nomination, the Academy clearly loves Three Billboards. Could it take home the top prize? Even Dunkirk feels like it could sneak in. It was the most wide open nominations process in recent memory, and I don’t think much has changed. And maybe, when Guillermo takes the stage on March, we’ll look back and laugh at the idea that we ever said this was wide open. But maybe not. Maybe we’ll get a surprise. It’ll be tough to top last year’s, but something similar could be in the cards. Watch Deakins lose to Van Hoytema. I think I’ll scream if Deakins doesn’t win. I can’t see how Janney managed to get out in front of Metcalf in Supporting Actress. Metcalf was far better, IMO I’ve seen Janney do this before.